Brentford fans have launched a petition asking Chelsea to return a Second World War-era trophy back to its rightful owners some 70 years after the cup was last competed for. 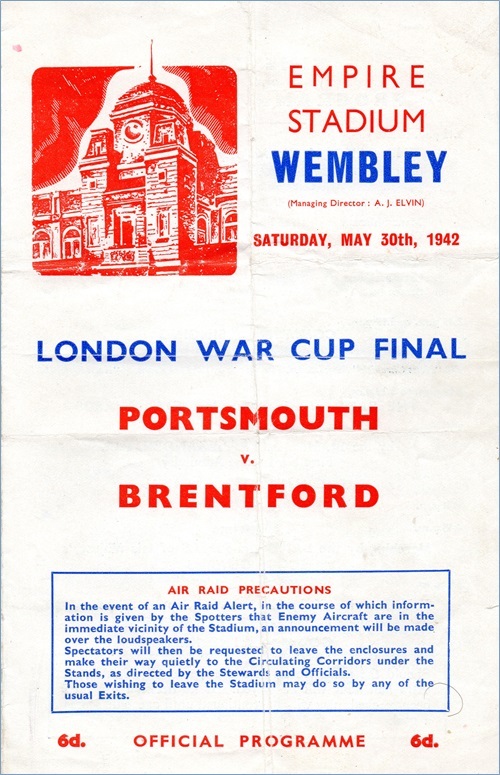 Those Bees fans concerned reckon that their club should be listed as the last winners of the London War Cup, having beaten Portsmouth in the last final to played, at Wembley in 1942. Skip to 6:20 to see Brentford captain Joe James blowing his big moment by dropping the trophy! The London War Cup was played instead of the FA Cup after the latter was cancelled due to the outbreak of the war. However, the competition was viewed as something of a renegade tournament, with teams having to secede from the FA to play in it and then pay a £10 readmission fee to rejoin the FA afterwards. Alas, The London War Cup was discontinued after Brentford’s victory over Pompey and replaced by the Football League War Cup – which allowed all Football League teams, not just those in London and the South East, to participate. However, the crux of the matter is that the actual London War Cup trophy itself was still used to present to the winners of the Football League War Cup – with Chelsea triumphing in the last final against Bolton in 1945. Since then, the silverware has resided in Chelsea’s club museum at Stamford Bridge, though a group of Brentford fans are asking the Blues to return (or loan back) the trophy to Griffin Park on the grounds that their club are, technically, the reigning holders. The petition is here should you feel the compulsion to join the fight. But they aren’t the holders, as you said the tournement was modified and the name changed but it was still the same cup. If the last team towin the league cup before a name change got to keep it they’d have to make a new one every two years.